Written by Jacqui White, leader of the Mouse Genetics Project Phenotyping Team. Mice at the Wellcome Trust Sanger Institute Research Support Facility where researchers are committed to treating the animals in the most humane, caring and sensitive way possible. Animal research is a vital way to explore the effects of genes on human health and disease. By studying how the genes work in an animal such as a mouse or zebrafish, we can understand how it works in people and, hopefully, find new avenues for treatment or even cure. The research support facility is a modern animal facility, operated by our dedicated team of animal technicians, supporting the daily husbandry of animals in research. We are committed to treating our animals in the most humane, caring and respectful way possible. We seek to study the fewest animals we can and to ensure that their conditions and experiences are as comfortable as possible. This approach, known as the 3Rs – replacement, reduction, refinement – not only has the best interests of the animals at heart, it also improves the accuracy and reliability of our study results. The more accurate the results, the less likely it is that we will need to repeat a study. We are always looking for ways to refine our animal care and are constantly reviewing how we interact with our animals. All forms of animal care (feeding, cleaning and measuring) have some effect on the animals but, until now, nobody knew how much these standard practices affect study results. To find out, we studied the effects of mouse handling techniques (such as moving and cleaning cages, and measuring core temperature and blood glucose levels) on levels of short-term and medium-term stress in mice. What we discovered is already helping us to improve our animal welfare and our research results, meaning that fewer mice need to be studied. We found that simple animal husbandry and experimental procedures significantly influence mouse physiology and behaviour. 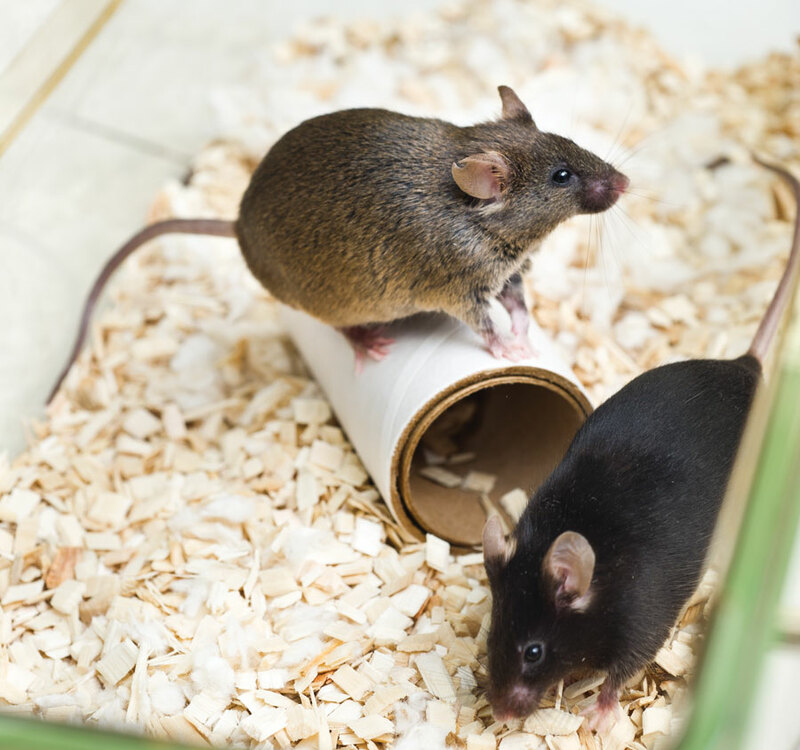 Blood pressure, heart rate, movement, core temperature and blood glucose in mice were all elevated in response to being handled. Also, these responses were different between the sexes: for example female mice displayed more sustained cardiovascular responses and movement than males. The results will help the scientific community to refine their practices and are helping us to design studies that are both more accurate and require fewer mice. By reducing stress as much as possible, we are improving animals’ welfare, minimising disturbance and improving the quality of our results by reducing biases. For example, one of the key changes we have made is adjusting how often (and when) we interact with the mice. Mice become used to the smell of their bedding and they find being given clean bedding quite stressful. In fact, it can take up to two hours for them to completely acclimatise. Now that we know this, we always give our mice at least two hours to get used to any change before we take any measurements to avoid bias due to stress. Second, we schedule bedding changes to take place at the same time as taking measurements so that our mice are disturbed just once instead of twice. Third, we now only change bedding once every fortnight, instead of our previous practice of once a week, halving the level of disturbance. Our discoveries are helping us to improve the accuracy of our findings and continue to lower the number of animals required for each study. We hope that our work will be taken on by other research institutions to help them continue the good work of the 3Rs.